Hyde Park, NY – Making the Food & Wine Best New Chefs list is often a sign of greater things to come in the culinary world. 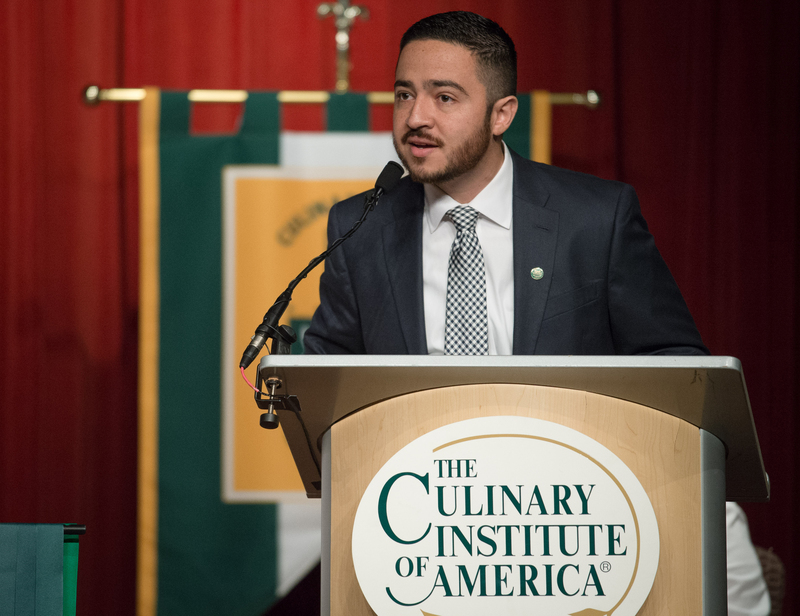 The magazine’s class of 2017 includes two graduates of The Culinary Institute of America, including one from the CIA’s San Antonio campus. Diego Galicia ’10 is chef and co-owner of Mixtli in San Antonio and Nina Compton ’01 is chef and owner of Compère Lapin in New Orleans. In naming Compton to its list of rising star chefs, the Food & Wine editors write that she “unravels the French/Southern/Haitian rubber-band ball of Louisiana cooking, and looks at its constituent parts in a new way.” Compton, a native of St. Lucia who graduated from the CIA’s New York campus, is also a nominee for the 2017 James Beard Foundation Award for Best Chef: South. Compère Lapin was named Restaurant of the Year for 2016 by the New Orleans Times-Picayune. Chefs Galicia and Compton will be featured at the Aspen Food & Wine Festival in June and as the cover story of the magazine’s July issue, along with the other 10 honorees. Some previous CIA alumni honorees who have gone on to chef stardom include Gary Danko ’77, Rocco DiSpirito ’86, Jonathan Benno ’93, Melissa Perello ’96, Roy Choi ’98, and Justin Yu ’05.